As expected after the minimum rate was announced in September the EUR/CHF has been trading between 1.20 and 1.24 since then. We're approaching the 1.20 level so a long here might be an interesting trade with a good risk/reward. Wave [ii] took about two weeks to unfold. So far, wave [iv] has only lasted three days so, most likely this correction takes a few more days to complete. 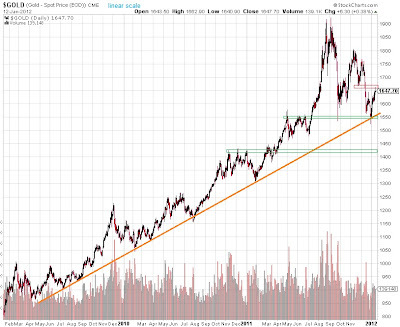 As said earlier the 1265 level is important for the medium-term uptrend. 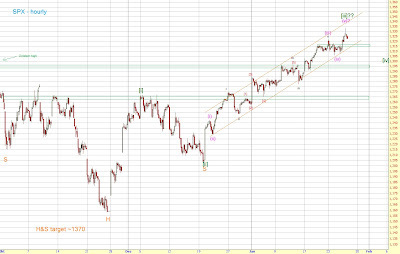 Since the bounce at the support area around 1200ish mid-late December the SPX has been in a solid uptrend. 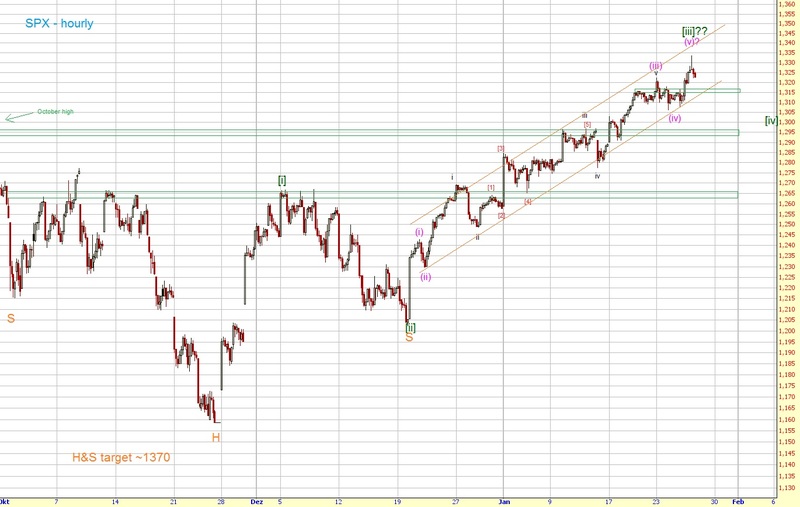 As long as we stay in this channel you shouldn't even think of going short. Rather stay long and enjoy the ride up... it's as simple as that. 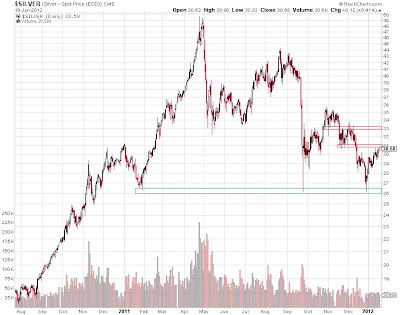 Support levels are at 1295ish and 1265ish. I'll post more tomorrow morning. 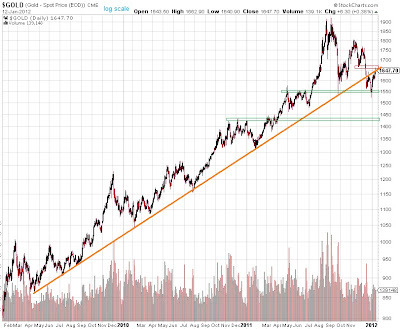 As pointed out in my last update three weeks ago that, despite the break of the orange trendline, I wouldn't short gold because there is huge support around 1550. We got a huge bounce at the support at 1550ish and are now back at the 1670ish resistance area. 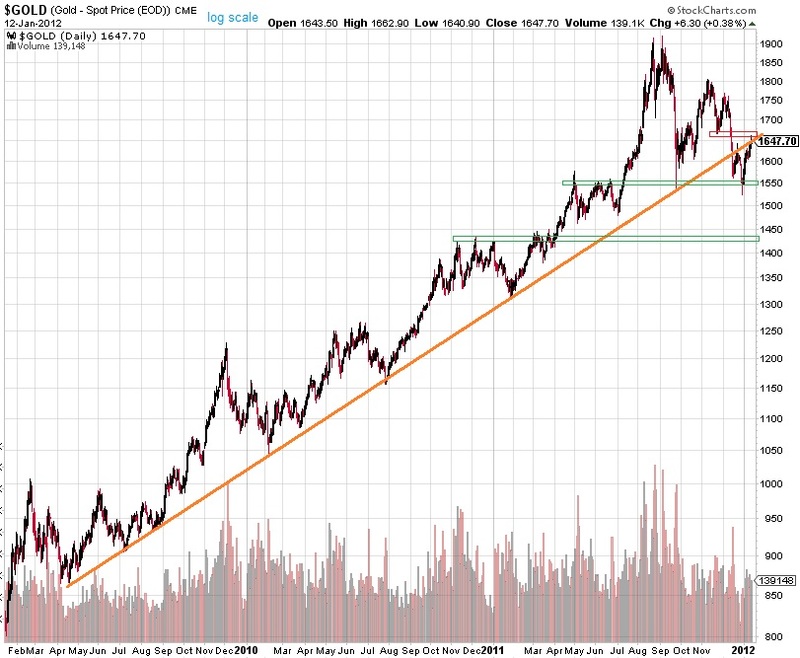 If gold can break this area we could see a rally towards the all-time highs at 1900+. 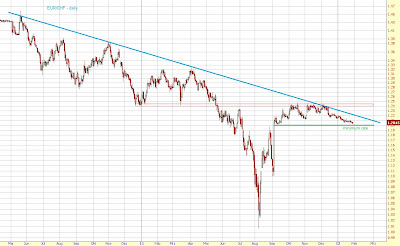 A break below 1550 on the other hand should lead to a sell-off to 1420-30. 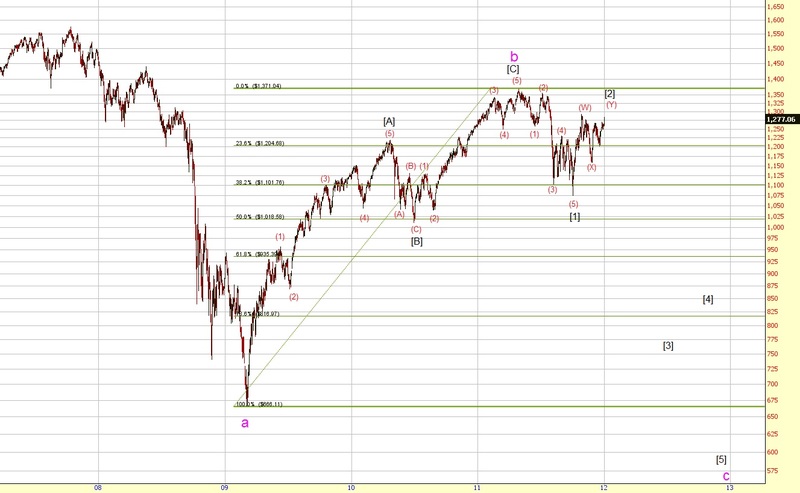 So far, the market hasn't moved anywhere this year as we're still trading around 1280. The ES rallied overnight though so the SPX will open around the October highs this morning. If we can break it we could even see 1300 today. 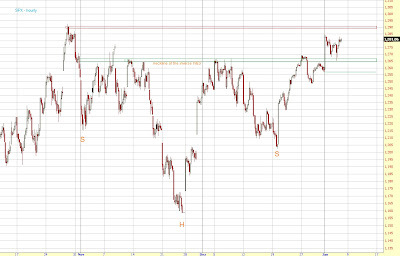 As long as the SPX doesn't close below 1265 we should go higher. 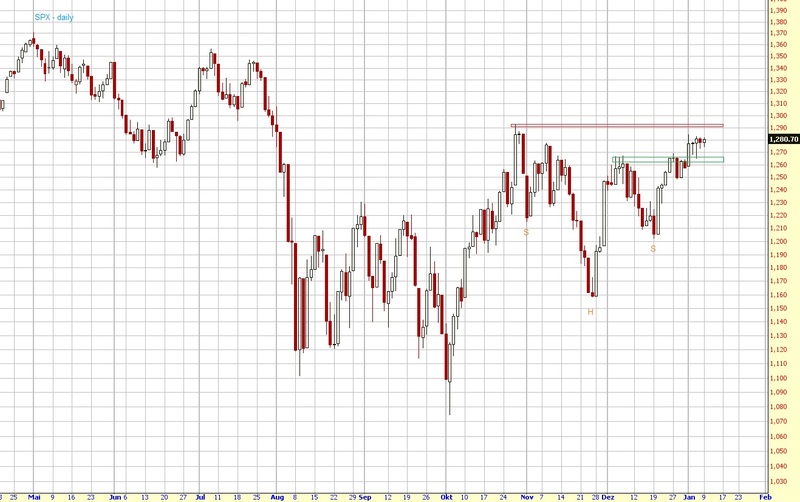 If you have a look at the chart it looks like the market formed an inverse H&S with a neckline at around 1265. So, if the SPX stays above this level we might go a lot higher. 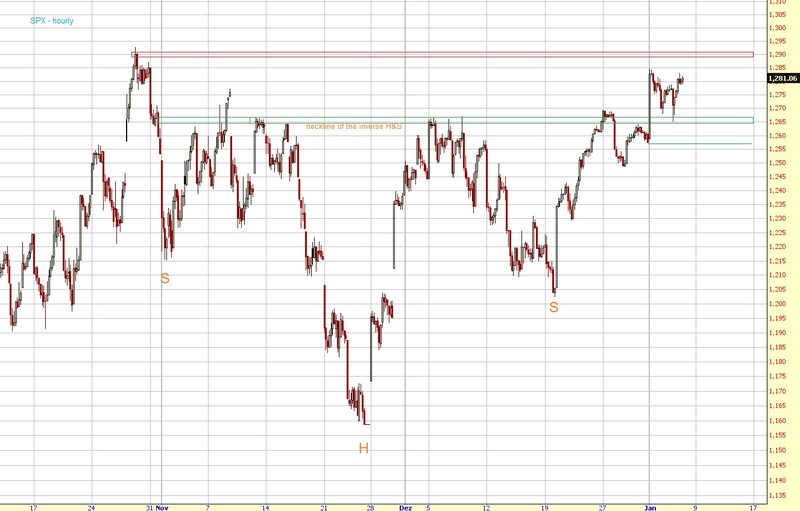 The target for this H&S is at around 1370. 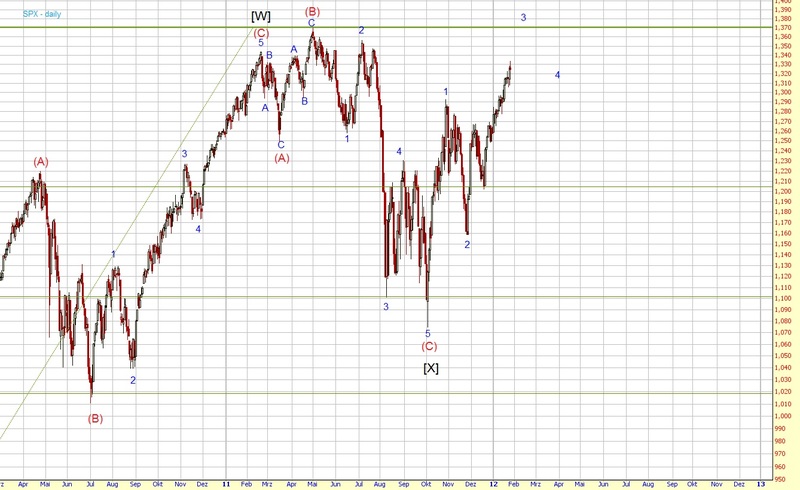 It's been a bit more than three months since my last long-term update for the SPX. Both counts are very similar, at least short- and medium-term. At the moment I don't really care which one is correct as we can assess the situation again once we are around SPX 1000. 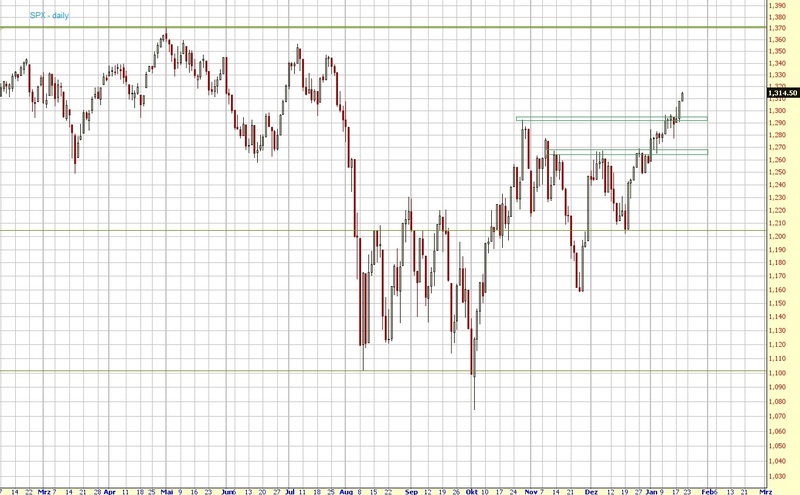 1160 and 1200 are the important levels to watch. 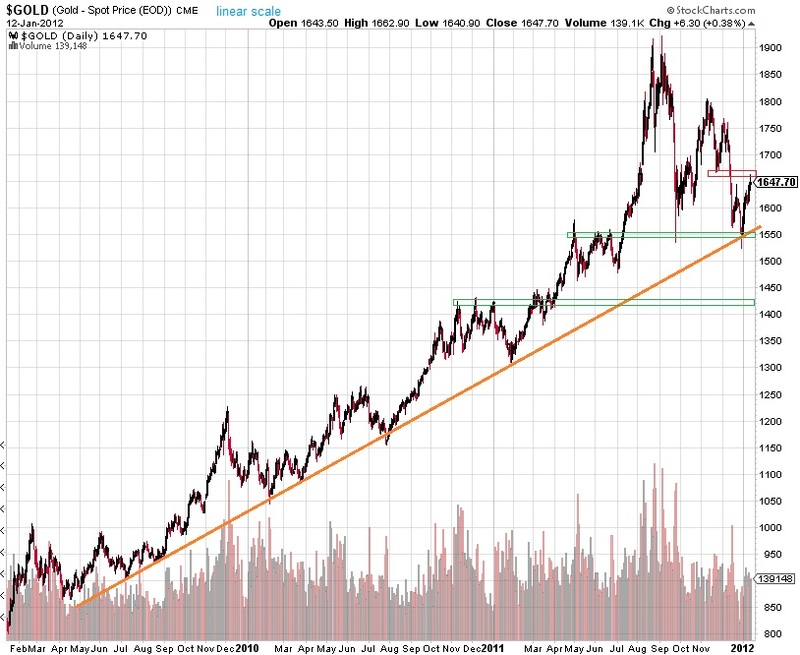 If we break below these then the next downwave is most likely underway i. e. a sell-off to ~1000 should occur. 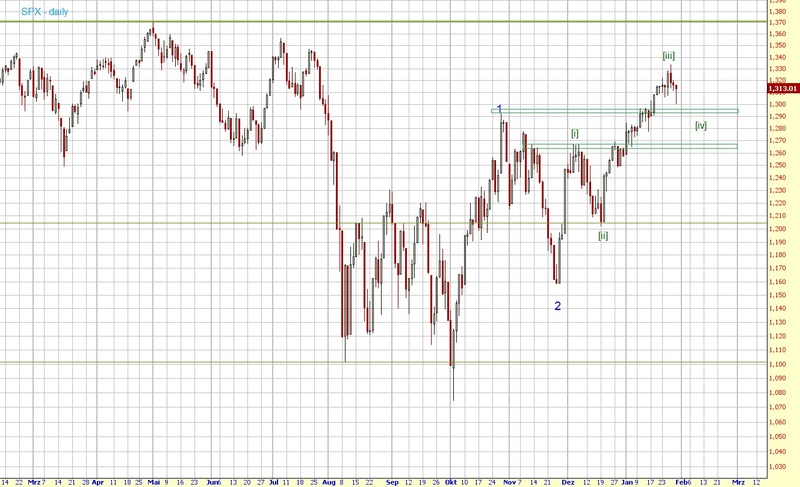 The SPX shouldn't rally much above 1310 though else these counts are very, very unlikely. What if the correction (wave [X]) already ended at 1075? Maybe we're already in wave [Y] up towards new all-time highs (I know the economy is in bad shape but after all we're only 300 handles away which isn't that much since the market has already rallied 600 handles from the lows (and the economy wasn't in better shape back then...)). 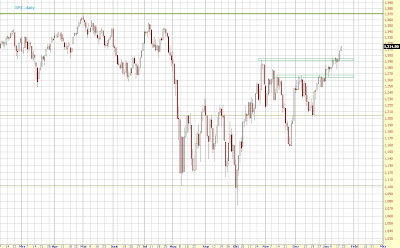 In my opinion the level which has to hold is 1200. In fact, we should see a quick rally back to 1370 during Q1 2012. To sum up, the counts point in different directions so I suggest to use the 1200 (or 1160) level to make your decision. If we're below it = bearish and above = bullish. I wish you all the best in 2012!! Daily updates will resume tomorrow morning before the open.